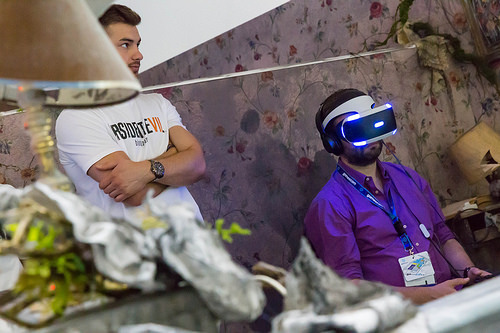 Virtual reality gadgets are revolutionizing the way we do gaming, listen to music and watch videos. 2016 has been the year most of these toys have come to light – with many more is poised to come. Sony has entered the world of virtual reality especially with the launch of PlayStation VR headset. The PSVR has made its way into the world of gamers. It is the latest member of the PS4 family, and whichever PS4 console you choose, you are PSVR ready. Connect a headset to your Playstation, add a camera and enter the amazing world of virtual reality. With PlayStation VR, you are bound to live the game. You immerse yourself in amazing new worlds putting yourself at the center of the incredible gaming universe. The gadget allows the user to see hyper-real 3D environments come to life with a custom OLED screen. The 360-degree vision means no matter which way your looking, the PSVR puts you in the game, to help you breathe the world with a seamless field of view. The 120, 60 per eye, frames per second offer smooth visuals and super low latency to create an incredibly immersive gaming world. PSVR is enriched with audio immersion. With 3D audio, you are bound to discover a new dimension in sound with cutting-edge 3D audio. The sound lets you accurately perceive the direction and distance of sounds coming below, above and all around you. The gadget has a built in mic to help you chat with your online friends. You can discuss in game tactics in a virtual world using the integrated microphone. The PS camera comes with dual lenses and 3D depth sensors to track the position of the headset. 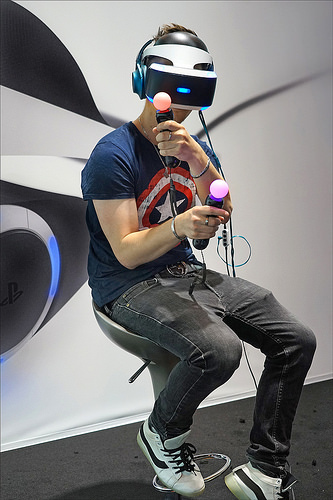 The PS Move Controller and DUALSHOCK to ensure that the user is always at the center of VR gaming universe. Regarding precision tracking, PS gadget has nine LEDs positioned on the front, back and at the sides of the PS VR headset. These LEDs are tracked by PS camera to ensure pinpointing accuracy within the gaming world. Every game you play is suitably compatible with the DualShock 4 wireless controllers. The light bar is continuously tracked to help further enhance in-game movements. The PlayStation Move motion controller brings the user’s hands into the gaming world to take full control of the VR experience. Your experience is projected directly onto the tv. The mirror mode lets your friends and family see what you see hence you give them a window into your virtual world. You can let your friends join the game with separate modes and display different views of the actions happening on the screen. The 360-degree media player will allow you to enjoy 360-degree videos and photos via the PS4 media player. You can easily plug a USB stick into your PS4 and choose 360-degree media captured from an equirectangular (3d) camera. After you select VR mode from the media player options, you can put yourself in the center of your movies and images. The PSVR is an awesome piece of kit. If you have the headset, there is no doubt you have visited the PlayStation store trying to get the best of the available games. To help you out, we have analyzed some of the best games that you should try out today. This game was developed by Killzone creator, Guerilla Gamera. The game involves a competition that combines an explosive basketball action with giant mech suits. It pitd two teams of three against each other. To score, you must push yourself through a goal located in the center of the map. There are three different rigs that the user can choose from. Each of these rigs has their unique weapons and abilities. You can play the game co-operatively, with one player wearing the headsets while the other working on the controllers. Until Dawn is a fantastic game released in 2015. It combines engrossing story, great scares and memorable cast of characters. Supermassive games describe Until Dawn as a descent into madness. This game will take you on a literal roller coaster ride full of scares, thrills, and arcade style shooter action. It features a carnival-inspired aesthetic that is complemented by various terrifying creatures. Survival Horror is a great genre of VR especially when you are left squirming on an inescapable ghost train. Monstars and Enhance Games developed the Rez Infinite. The game is an effort of 15 years of old Dreamcast game that turned up to be one of the most amazing apps for Sony’s PlayStation VR headset. The game adds VR head tracking and puts the gamer at the center of Tron-like wireframe soundscapes. Rez becomes almost hypnotic due to the head tracking. Its pulsing trance soundtrack builds to a thumping crescendo as you shoot down your polygonal enemies. You also find yourself fully immersed in a futuristic landscape as the experience zips you past your floating avatar. It is easy to entirely lose track of reality due to the insane speed and spot on the head-tracking enemy. Rocksteady Studios developed this game. It is probably one of the best introductions to PlayStation VR. The game is a fantastic visual showcase that demonstrates the power of gaming. 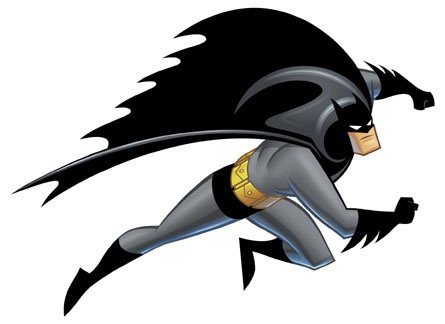 The opening sequence of the game draws the user in by leading them from the top of Wayne Manor floor down to the basement to make you the Batman. At this stage, you are introduced to incredible levels of immersion as you solve complex crimes throughout Gotham and come face to face with Batman’s greatest adversaries. The release date for playroom VR was October 13, 2016 and is free for everyone who buys a PSVR headset and is a fun glimpse of virtual reality experience. The game is founded on adorable robotic creatures in a manufactured landscape. The gamer can control various characters including the giant sea monster, robotic cowboy and the stylish purple cat. Each of these characters have their playable scenario to encourage the gamer to experiment with the headsets in new and exciting ways.